and again when the 2018 edition of Boy Scout Requirements was issued. 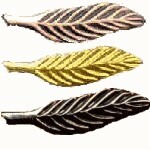 NOTE: Scouts who earn three Palms may continue to earn additional Palms in the same order - bronze, gold, and silver. All requirements for Eagle Palms must be completed before a candidate's 18th birthday. The Palms beyond Silver can't be entered by units into BSA's "Internet Advancement" database, since there doesn't appear to be a way to record multiple instances of the awards, just the number of merit badges earned, but a Scout can still earn and wear the multiple Palms. The "Scoutbook" software does allow for recording additional Palms, and the "Scoutbook Lite" software should allow that as well.